Customer satisfaction, teamwork, dedication and are what we always strive for at WJB! Besides that, we’re fun people! 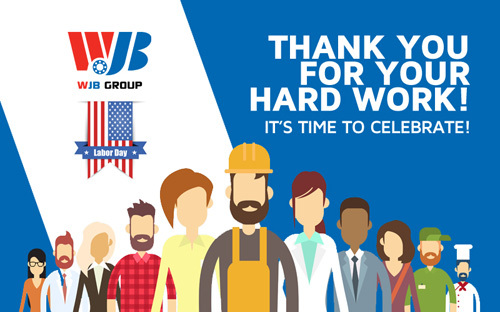 We would like to take this wonderful chance before Labor Day to say a Big Big THANK YOU to all the hard working people out there and inside of WJB Group. You’ve done a terrific job for you and your lovely family! Let’s give ourselves a big round of applause! Hope everyone enjoy their labor day weekend and fully recharged. By the way, don’t drink and drive. If you have to go somewhere after drinking, please call a friend or family member to drive for you, and please make sure they have WJB’s wheel bearings installed on their wheels, because we care for your safety! What is Labor day? Wiki knows! Click HERE.